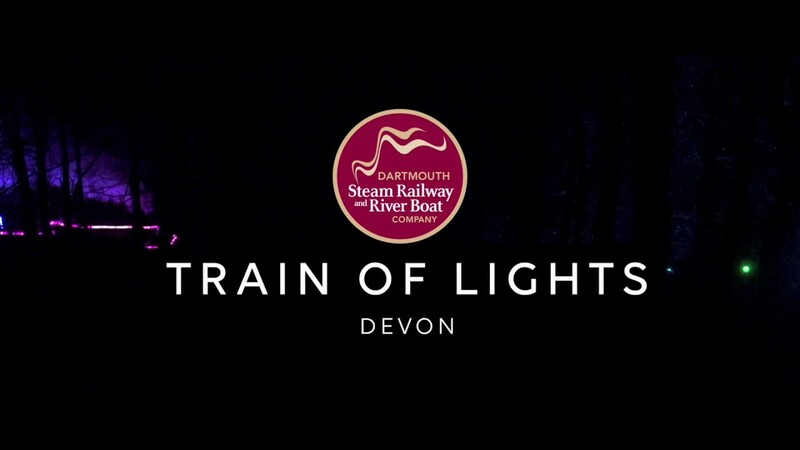 ​This truly spectacular illuminated journey starts at Queen's Park Station, Paignton, where our train with vintage carriages await you - decorated with thousands of lights. Fifteen minutes later, once you've had time to settle back into your seat, you will arrive at Churston Station where the dazzling show begins. As the anticipation builds and mere moments after leaving Churston, you will be propelled through the 450-metre technicolour Greenway tunnel that leads you onto the enchanted forest which is transformed by a multitude of lights and feature displays into a nocturnal extravaganza. The breath-taking show ends as you leave the forest only to be greeted by the twinkling lights of Dartmouth reflected on the river Dart. After a quick turnaround at Kingswear you will be on your way back to Paignton to experience the spectacle from a different direction - be sure to swap sides of the carriage to gain the best views of both sides of the stunning light show.​ You also have the opportunity to upgrade and experience the Train of Lights in the Devon Belle observation carriage. These tickets will be on sale on the train, strictly on a first come first served basis and priced at £5 per person (cash only on board). This is a fully ticketed event so pre-booking is essential. Please ensure you arrive at least 30 minutes before your Train of Lights departure time. The Head of Steam café will be open serving tea, coffee, (fabulous!) hot chocolate and snacks. Toilets are available at the station and on the train. The experience lasts for 90minutes and onboard refreshments will also be available. Please note: there are no Train of Light services on Christmas Eve. Bookings can only be made in person at Queen's Park Station, Paignton or via the telephone on 01803 555872. Discounted ickets cannot be purchased online. Santa Express booking reference must be provided at time of booking and Santa Express ticket must be produced and shown when collecting Train of Lights tickets. Train of Lights bookings must be made under the same name as Santa Express booking and ID will be required on collection of Train of Lights tickets. The same number of adults and children for the Train of Lights booking must match that of the Santa Express booking.